Women's suffrage in New Zealand was an important political issue in the late nineteenth century. In early colonial New Zealand, as in other European societies, women were excluded from any involvement in politics. 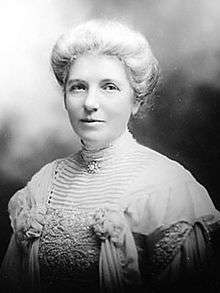 Public opinion began to change in the latter half of the nineteenth century, however, and after years of effort by suffrage campaigners, led by Kate Sheppard, New Zealand became the first self-governing colony in the world in which all women had the right to vote in parliamentary elections. Portrait of an unknown suffragette, Charles Hemus Studio Auckland, circa 1880. The sitter wears a white camellia and has cut off her hair, both symbolic of support for advancing women's rights. Women's suffrage was granted after about two decades of campaigning throughout New Zealand, by women who included Kate Sheppard and Mary Ann Müller. The New Zealand branch of the Women's Christian Temperance Union led by Anne Ward was particularly instrumental in the campaign. 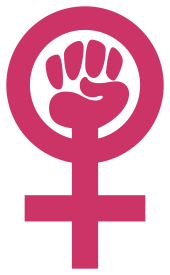 Influenced by the American branch of the Women's Christian Temperance Movement and the philosophy of thinkers like Harriet Taylor Mill and John Stuart Mill, the movement argued that women could bring morality into democratic politics. Opponents argued instead that politics was outside women's 'natural sphere' of the home and family. Suffrage advocates countered that allowing women to vote would encourage policies which protected and nurtured families. WCTU campaigners and suffragettes organised and delivered a series of petitions to Parliament: over 9,000 signatures were delivered in 1891, followed by a petition of almost 20,000 signatures in 1892, and finally in 1893 nearly 32,000 signatures were presented – almost a quarter of the adult European female population of New Zealand. From 1887, various attempts were made to pass bills enabling female suffrage, the first of which was authored by Julius Vogel, the 8th Premier of New Zealand. Each bill came close to passing. Several electoral bills that would have given adult women the right to vote were passed in the House of Representatives but defeated in the upper Legislative Council. 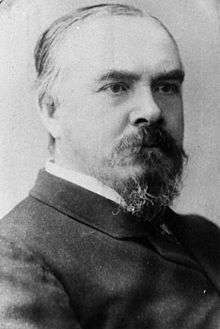 In 1891 Walter Carncross moved an amendment that was intended to make a new bill fail in the Legislative Council. His amendment was for women to become eligible to be voted into the House of Representatives and in this way Carncross ensured that the conservative Upper House would reject the bill. This tactic infuriated the suffragette Catherine Fulton, who organised a protest at the 1893 election. An 1892 Electoral Bill, introduced by John Ballance, provided for the enfranchisement of all women, but controversy over an impractical postal vote amendment caused its abandonment. Tribute to the Suffragettes sculpture at the Kate Sheppard National Memorial, Christchurch. 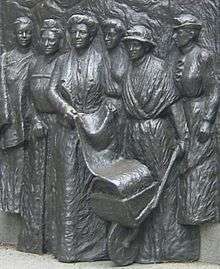 The figures shown from left to right are Meri Te Tai Mangakāhia, Amey Daldy, Kate Sheppard, Ada Wells, Harriet Morison, and Helen Nicol. By 1893 there was considerable popular support for women's suffrage. The 1893 Women's Suffrage Petition was presented to Parliament and a new Electoral Bill passed through the Lower House with a large majority. During debate, there was majority support for the enfranchisement of Māori as well as Pākehā women; the inclusion of Māori women was championed by John Shera, who was married to a part-Māori. Lobbyists for the liquor industry, concerned that women would force the prohibition of alcohol, petitioned the Upper House to reject the bill. Suffragists responded with mass rallies and telegrams to Members of Parliament. They gave their supporters in Parliament white camellias to wear in their buttonholes. The Upper House was divided on the issue, and Premier Richard Seddon hoped to stop the bill. Seddon needed one more vote to defeat the measure in the Upper House. A new Liberal Party councillor, Thomas Kelly, had decided to vote in favour of the measure, but Seddon obtained his consent by wire to change his vote. Seddon's manipulation incensed two other councillors William Hunter Reynolds and Edward Cephas John Stevens, so they changed sides and voted for the bill, allowing it to pass by 20 votes to 18 on 8 September 1893. The two opposition councillors had been opposed to women's suffrage without the 'electoral rights' safeguard of postal voting, seen as necessary to allow all women in isolated rural areas to vote, although seen by the Liberals as rendering the vote open to manipulation by husbands or employers. Eighteen legislative councillors petitioned the new governor, Lord Glasgow, to withhold his consent in enacting the law, but on 18 September 1893 the governor consented and The Electoral Act 1893 gave all women in New Zealand the right to vote. Both the Liberal government and the opposition subsequently claimed credit for the enfranchisement of women and sought women's newly acquired votes on these grounds. 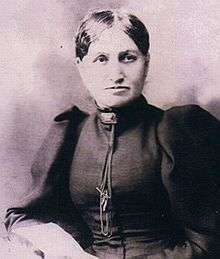 In 1893, Elizabeth Yates became the first woman in the British Empire to become mayor, though she held the post in Onehunga, a city now part of Auckland, only for about a year. Women were not eligible to be elected to the House of Representatives until 1919, when three women, including Ellen Melville stood. 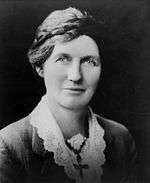 Elizabeth McCombs was the first woman to win an election (to the Lyttelton seat held by her late husband, via widow's succession) in the 1933 by-election, followed by Catherine Stewart (1938), Mary Dreaver (1941), Mary Grigg (1942) and Mabel Howard (1943). Melville stood for the Reform Party and Grigg for the National Party, while Stewart, Dreaver and Howard were all Labour Party. 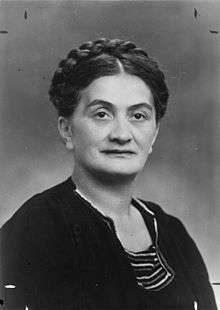 The first Maori woman MP was Iriaka Ratana in 1949; she also succeeded to the seat held by her late husband. Women were not eligible to be appointed to the New Zealand Legislative Council (the Upper House of Parliament) until 1941. The first two women (Mary Dreaver and Mary Anderson) were appointed in 1946 by the Labour Government. In 1950 the "suicide squad" appointed by the National Government to abolish the Legislative Council included three women: Cora Louisa Burrell of Christchurch, Ethel Marion Gould of Auckland and Agnes Louisa Weston of Wellington. 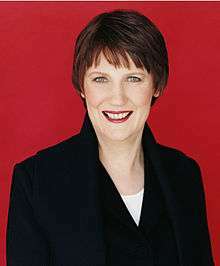 In 1989 Helen Clark became the first female Deputy Prime Minister. In 1997, the then-current Prime Minister Jim Bolger lost the support of the National Party and was replaced by Jenny Shipley, making her the first female Prime Minister of New Zealand. 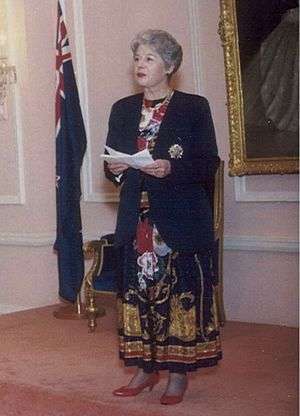 In 1999, Clark became the second female Prime Minister of New Zealand, and the first woman to gain the position at an election. The New Zealand Suffrage Centennial Medal 1993 was authorised by the Queen by Royal Warrant dated 1 July 1993, and was awarded to 546 selected persons in recognition of their contribution to the rights of women in New Zealand or to women's issues in New Zealand or both. Kate Sheppard, New Zealand's leading suffrage campaigner, appears on the current New Zealand ten-dollar note. Sophia Taylor, a suffragette leader from Northland, who opposed women standing for office. Mary Ann Müller, a pioneering campaigner for women's suffrage women's rights. 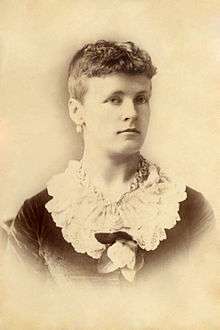 Elizabeth Yates, who in 1893 became the first female Mayor in the British Empire and second in the world. Elizabeth McCombs first female MP, winning the Lyttelton by-election in 1933. Catherine Stewart, second female MP, first to win a seat in a general election (1938). 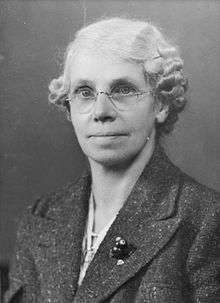 Mary Dreaver, first woman to sit in the New Zealand Legislative Council, third female MP (1941). Iriaka Ratana, the first female MP of Maori descent (1949). 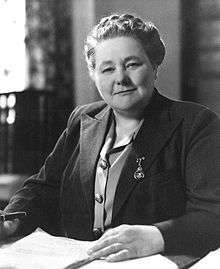 Mabel Howard, who in 1947 became the first female Cabinet Minister in the Commonwealth. 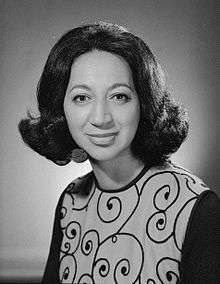 Whetu Tirikatene-Sullivan, New Zealand's longest serving female MP, 29 years between 1967 and 1996. Catherine Tizard, the first woman to serve as Governor-General of New Zealand (1990-96). Jenny Shipley, first female Prime Minister (1997-99). Helen Clark, second female Prime Minister (1999-2008), first to be elected (and re-elected) to the post. First female Deputy-Prime Minister (1989). ↑ 'New Zealand women and the vote', URL: http://www.nzhistory.net.nz/politics/womens-suffrage, (Ministry for Culture and Heritage), updated 17 July 2014. ↑ Mogford, Janice C. "Yates, Elizabeth 1840–1848?–1918". Dictionary of New Zealand Biography. Ministry for Culture and Heritage. Retrieved 7 April 2011. ↑ Entwisle, Rosemary. 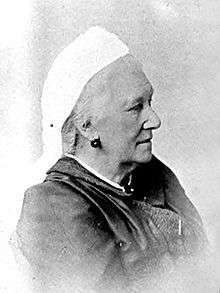 "Fulton, Catherine Henrietta Elliot – Biography". Dictionary of New Zealand Biography. Ministry for Culture and Heritage. Retrieved 29 July 2012. ↑ Grimshaw, pp 70–71, 92. ↑ Atkinson, pp 84–94, 96. ↑ Malcolm, Tessa (30 October 2012). "Sheppard, Katherine Wilson". Dictionary of New Zealand Biography. Te Ara – The Enclyclopedia of New Zealand. Retrieved 25 April 2016. ↑ Harris, Jan. "Sophia Louisa Taylor". Dictionary of New Zealand Biography. Ministry for Culture and Heritage. Retrieved 26 August 2016. ↑ Mogford, Janice C. "Yates, Elizabeth 1840-1848?–1918". Dictionary of New Zealand Biography. Ministry for Culture and Heritage. Retrieved 7 April 2011. ↑ Jean Garner. 'McCombs, Elizabeth Reid', from the Dictionary of New Zealand Biography. Te Ara - the Encyclopedia of New Zealand, updated 13-Nov-2013. ↑ Nicholls, Roberta. "Stewart, Catherine Campbell". Dictionary of New Zealand Biography. Ministry for Culture and Heritage. Retrieved 10 November 2013. ↑ Laracy, Hugh. "Dreaver, Mary Manson - Biography". Dictionary of New Zealand Biography. Ministry for Culture and Heritage. Retrieved 22 July 2012. ↑ Ballara, Angela (1 September 2010). "Ratana, Iriaka Matiu - Biography". Dictionary of New Zealand Biography. Retrieved 6 December 2010. ↑ McAloon, Jim. "Howard, Mabel Bowden 1894 - 1972". Dictionary of New Zealand Biography. Ministry for Culture and Heritage. Retrieved 15 November 2011. ↑ "NZ's longest-serving female MP passes away". The New Zealand Herald. 22 July 2011. Retrieved 22 July 2011. ↑ McLean, Gavin (October 2006). The Governors: New Zealand's Governors and Governors-General. Otago University Press. ISBN 1-877372-25-0. Dalziel, Raewynn. "Presenting the Enfranchisement of New Zealand Women Abroad" in Caroline Daley, and Melanie Nolan, eds. Suffrage and Beyond: International Feminist Perspectives (New York University Press, 1994) 42–64. Grimshaw, Patricia. "Women’s Suffrage in New Zealand Revisited: Writing from the Margins," Caroline Daley, and Melanie Nolan, eds. Suffrage and Beyond: International Feminist Perspectives (New York University Press, 1994) pp 25–41.